Real Madrid boss Zinedine Zidane is reportedly eager for the club to raid Liverpool for forward Sadio Mane this summer. Los Blancos have endured a nightmare campaign this season, as they crashed out of the Champions League and Copa del Rey this month and remain 12 points off the pace in the La Liga title race. 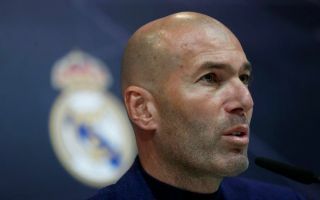 Zidane returned to the Bernabeu last week in a bid to salvage something from this season while also overseeing a rebuild of the squad, having enjoyed a trophy-laden stint in charge prior to Julen Lopetegui and Santiago Solari being sacked during the current campaign. Real Madrid announced the signing of Eder Militao last week to kick-start their rebuild, and now it’s been suggested that they have a Liverpool player in their sights. As reported by Calciomercato, via France Football, which is also noted in the tweet below, it’s been suggested that Zidane specifically wants to make Mane a priority for Real Madrid this summer. It was reported by AS last summer that Zidane’s exit from Madrid led to the collapse of a transfer for Mane, and so if that is accurate, then perhaps the French icon’s return could lead to that possible move being reignited. However, it must also be taken into consideration how important the Senegalese international is to the Merseyside giants, as he’s now bagged 20 goals and four assists in 38 games so far this season to lead their charge for the Premier League title. Seven of those goals have come in his last four outings across all competitions. With that in mind, Liverpool will surely have no desire to see him leave Anfield as they continue to chase major honours, while there doesn’t seem to be much of a reason as to why Mane would want to leave either given his prominent role at a European giant who are challenging for trophies. Nevertheless, the appeal of playing for Real Madrid and under Zidane could be too much to ignore.